In today’s Toecabulary, we discuss the concept of ‘foreground’ in composition. The opposite of background in a photograph is the foreground. Read on to know more! When the subject of your photograph itself is not focussed in the foreground but there are other elements that add more layers, leading an onlooker to the subject, you are using foreground to make your photograph more pleasing and dramatic than it could have been otherwise. Watch this space for photographs that illustrate the charm that foreground can bring to photography. The eternal romance of sunsets and beaches. 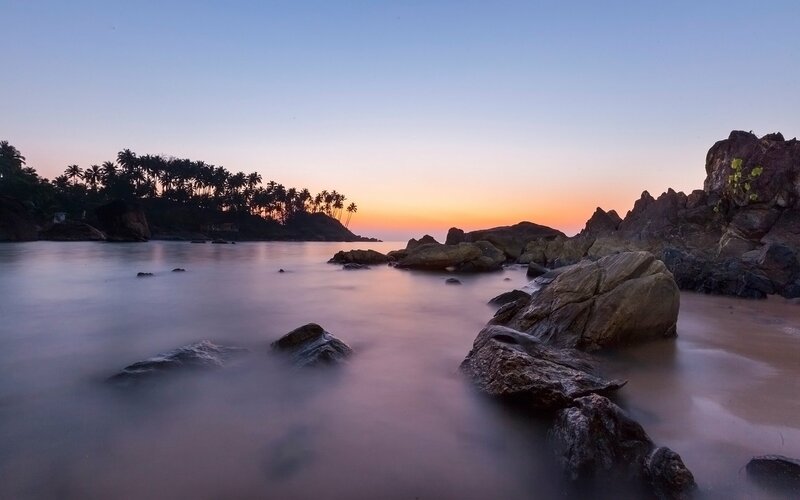 In this frame, the rocks dotting the shallow waters of a beach in Goa, India, make for a great foreground subject, adding a great sense of aestheticism. There is an alluring hinting at the grandeur of the whole image through this foreground, making the composition that much prettier than it could have been without the rocks. 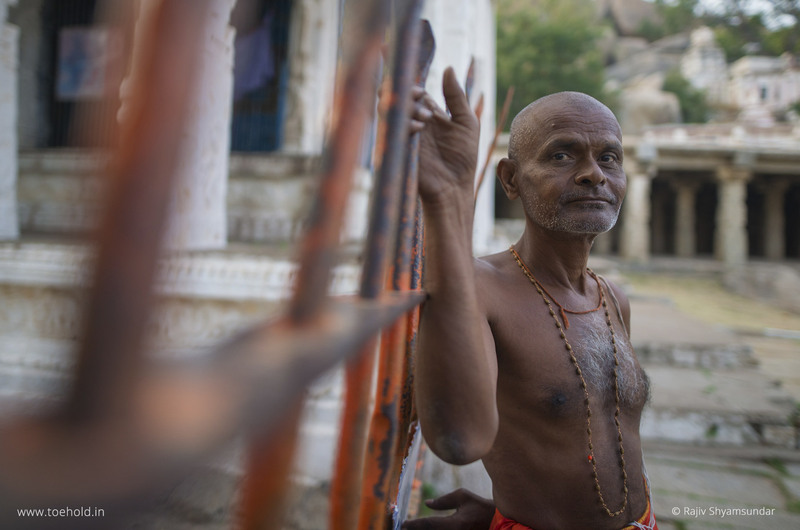 The loveliness of leading lines is captured in the foreground in this image, where the iron grills, although intentionally kept out of focus for aesthetic reasons, are leading the attention to the subject – the priest – in focus. And the background, as you can see, is out of focus so that the main subject of this composition retains its significance. This is a classic example of capturing a moment of a naturally dramatic scene in the wild. 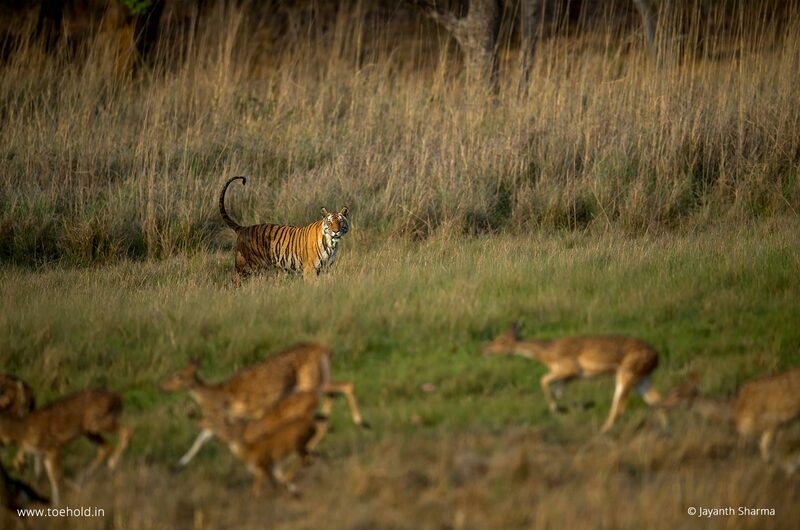 A few spotted deer running in the opposite direction of a tiger’s regal walk. Even as the tiger is the main subject, in focus, captured in the lovely golden light, the inclusion of the deer in the foreground tells a much more powerful and dramatic story, with the high grass in the background being out of focus. In the bustling streets of Varanasi, this oasis of bluesy calmness. 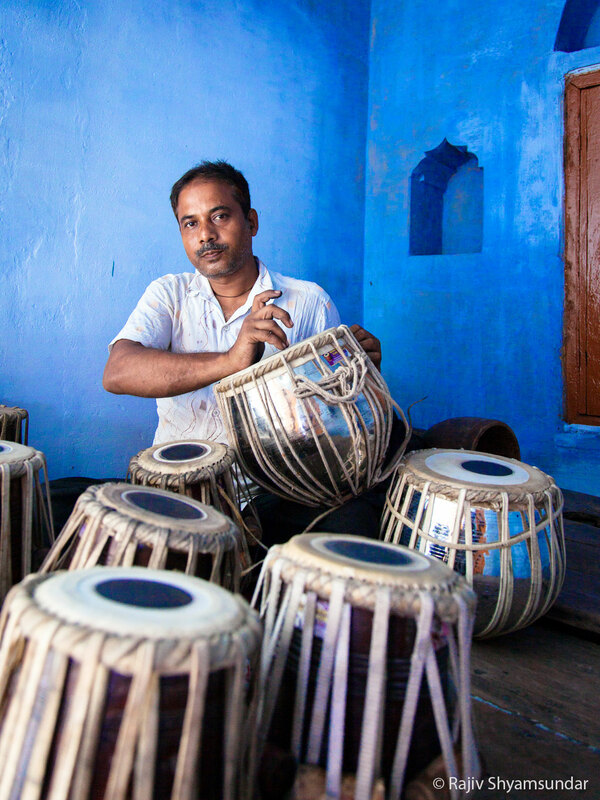 This image, in which the tabla-maker is the main subject in focus, all the tablas in the foreground and which are out of focus makes it a storytelling image by itself. The composition, forethought with the inclusion of the tablas as the foreground objects, thus brings a lot more aesthetic beauty to the image. To learn more about depth of field, and other basic and advanced concepts of photography, visit our Academy to learn more about our upcoming Art and Science of Photography Workshops in Bengaluru and Mumbai! 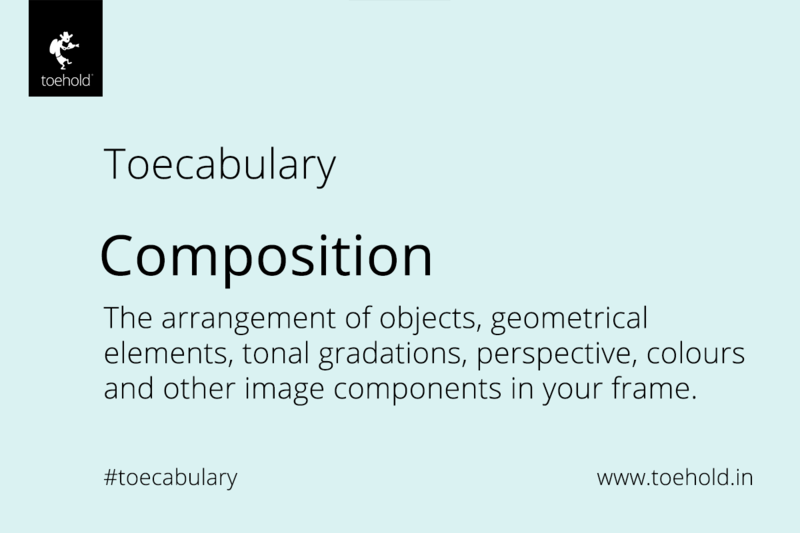 Tags: compositionphotographyPhotography DictionaryPhotography JargonToecabulary: Photography Terms Explained. Sourabha is a staff writer at Toehold who dexterously gives verbal form to the inexpressible, and with her passion for travel, weaves immersive stories that transcend space and dissolve time.